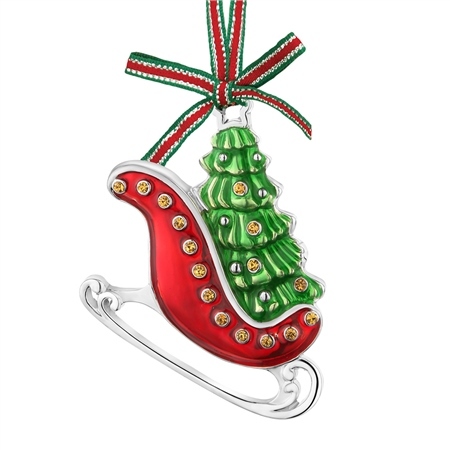 This intricately designed silver plated decoration with a protective anti tarnish layer, Christmas Sleigh with Tree design including yellow stone settings plus red and green enamel detail, comes complete on a festive ribbon of approx. 80mm. Presented in a Newbridge Silverware Christmas collection pouch. Product dimensions 60mm x 60mm x 5mm.